1. Wine bag. This polka dot bag is super cute and would be a great way to gift a bottle of wine. The bag can be reused for someone else, or keep it on display. 2. Globe decanter. I've seen this online before and I think it is so cool! It would be perfect in your husbands office, or even in your home bar. It's a classy piece that is also a conversation starter. 3. Wine rack. This sparkling 9 bottle wine rack would be a beautiful addition to any home bar. And honestly Target puts it best, "How you store your wine matters. Where you store your wine and how it looks makes you matter." Deep. 4. Wine Stopper. Another cute stocking stuffer idea. This simple wine stopper is pretty and functional! 5. Wine charms. 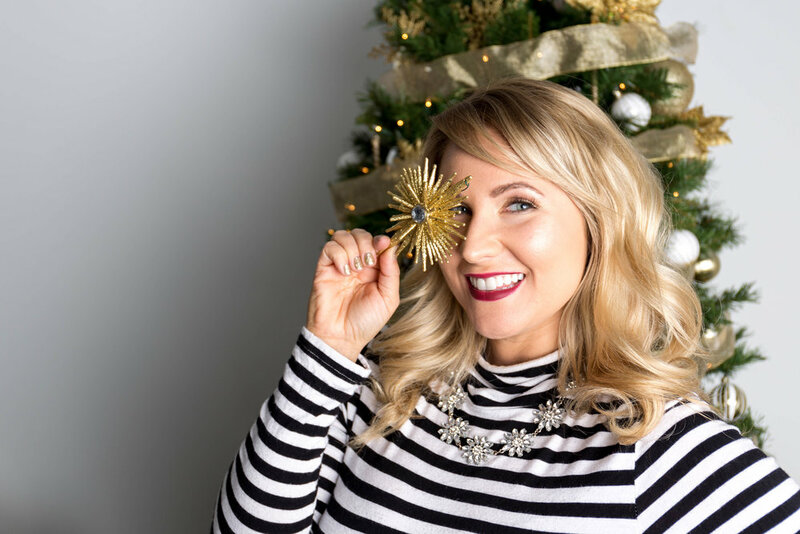 Wine charms are a simple stocking stuffer idea and these ones are cute because they aren't seasonal and can be used all year long! Plus the gold finish adds a touch of class, and you all know I love me some gold! 6. Stemless wine glasses. What better way to celebrate life than with "Cheers" stemless wine glasses! 7. Merlot infused coffee. This is a really cool gift idea for that special someone who drinks coffee by day, and wine by night! You can't go wrong! 8. Wine opener. I actually got this wine opener as a gift from a coworker a couple years ago and I love it. It's straightforward and the design is sleek. It's an awesome gift that you'll also want to snag for yourself if you don't already own one! You'll thank me later! 10. Ice Mold/Bottle Chiller. 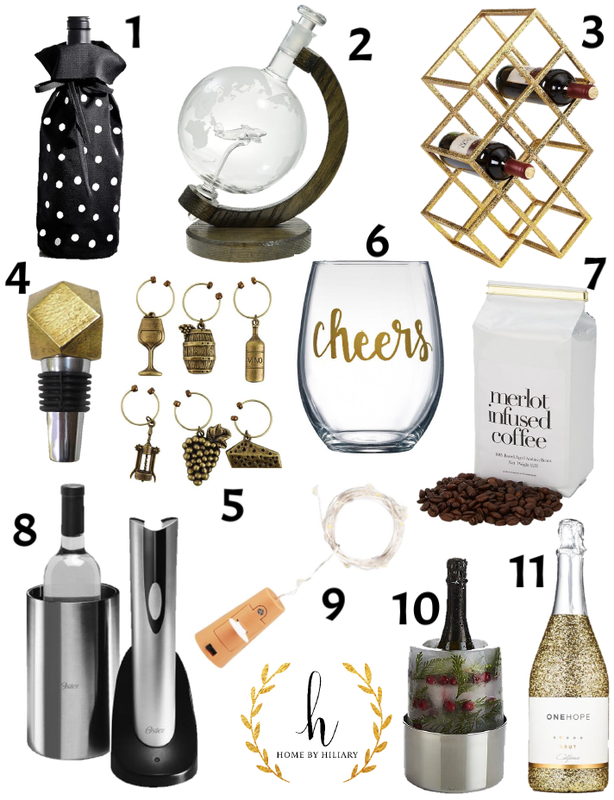 This is a unique gift that doubles are a unique centerpiece as well as a functional wine chiller! Again, style and functionality. Two of my favorite things! 11. Sparkling Wine. A gift for a good cause. For every 1 bottle of One Hope sparkling wine, 15 meals are given to a child in need. Not only are these bottles beautiful and girly, but they'll make you feel good for helping out those less fortunate and isn't that what the holidays are all about?